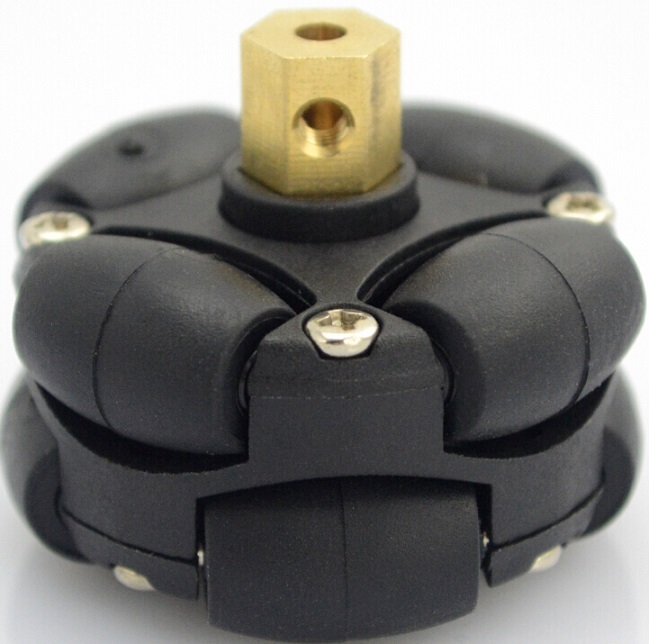 This Omni Wheel is the smallest omni-directional wheel in all of UniHobby omni wheels. It is unique as they are able to roll freely in two directions.And this 38mm omni wheel has 8 PU rollers. It's rollers are more durable, robust and flexible to provide the wheel 360 degree movement easily. 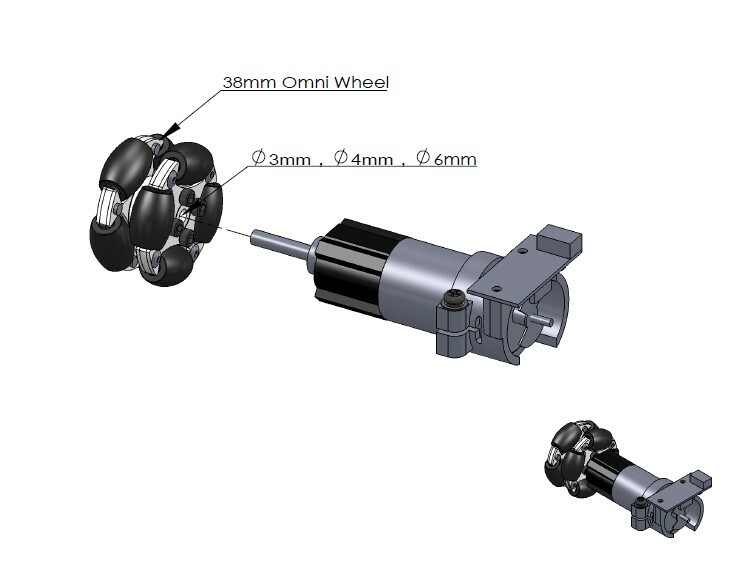 This 38mm omni wheel apply to the small robot cars, robot platforms, small toys and so on. 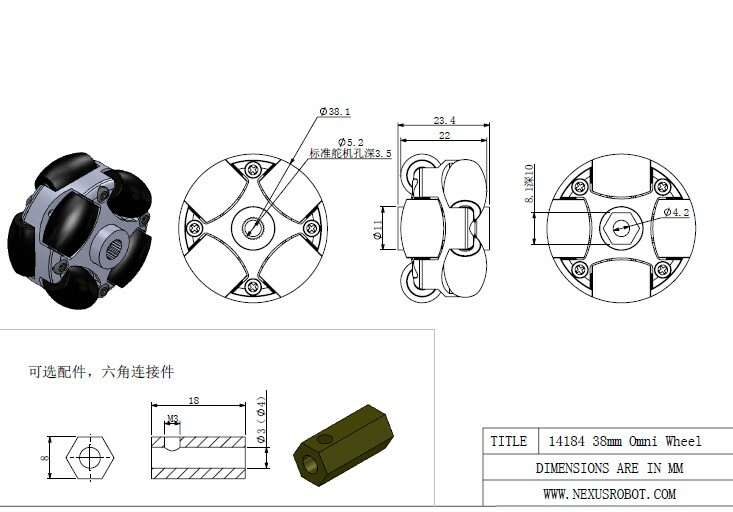 This Omni Wheel include 3mm aluminum mounting couplings.